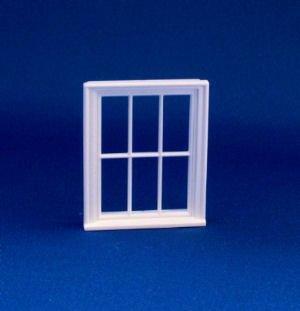 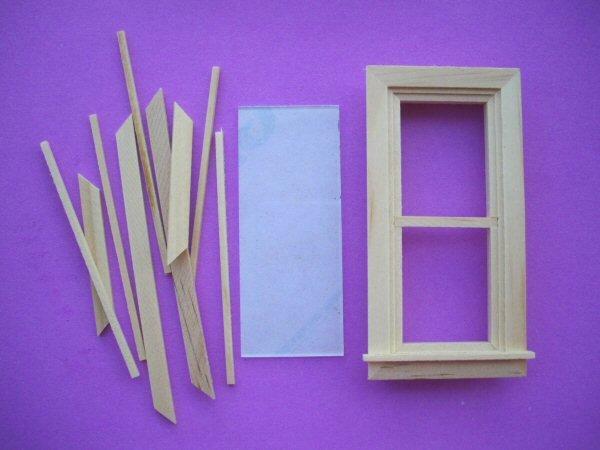 1/24th scale Victorian style white plastic window with 4 panes. 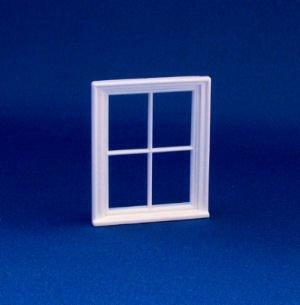 Includes removable rear insert to allow glazing. 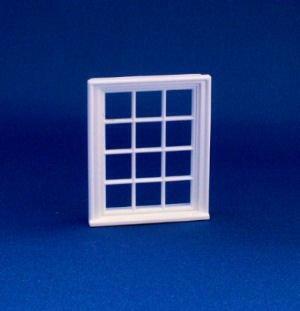 Overall size 50mm x 40mm. 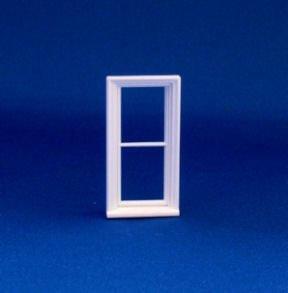 Size of opening needed 48mm x 38mm wide.